Communicate: the most important thing you can do with your employees. When we conduct exit interviews we often hear that this is one of the most causes of unrest and the driver for staff to leave. 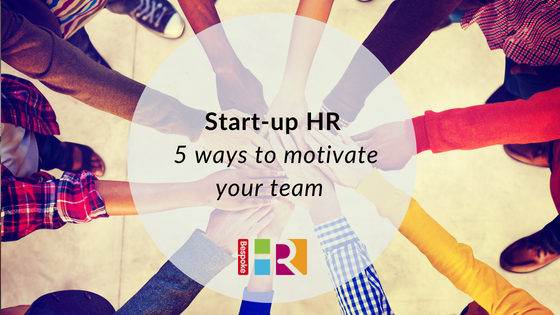 If your staff don’t know what they should be doing, don’t understand the business, or feel they can’t approach you, they will inevitably become de-motivated and uninspired within your business. Be visible as much as you can: morale is boosted significantly when staff have access to their managers, and as the business owner it’s essential you are an intrinsic part of the company culture. No-one likes to work for a faceless organisation. Walk the talk: always behave as you would expect your staff to behave, that includes during work hours and at social events. Empathy not sympathy: try and take an open approach to dealing with staff issues, if you’re too sympathetic you could end up in awkward situations, better to be empathetic and approachable which will enable you to deal with whatever staff issues arise. Be fair: implement the same rules, processes and bonuses for everyone so that your team feel equally respected and rewarded. We can conduct an HR healthcheck to help you understand how your business is performing. Or for an informal chat or advice, get in touch for 15 mins of free HR advice.